Tractor-trailer is a standard term used by the public to describe the large industrial and commercial trucks seen on the public roads and highways. These trucks, which can weigh as much as 80,000 pounds, take on a vital role in our economy. They allow companies and individuals to transport different commercial goods all over the country. Throughout the years, their presence on the highways has increased drastically. Have you or a loved one been injured in a tractor-trailer accident? Our truck accident lawyers can help! 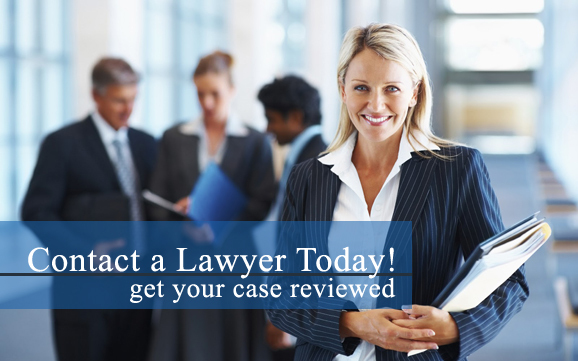 Don’t delay; contact our personal injury attorneys today. Currently, there are over eight million registered tractor-trailers in the country. Unfortunately, as the number of tractor-trailers has increased, tractor-trailer accidents have increased as well. Roughly 140,215 tractor-trailer accidents occur annually in the United States, with 12.5% of all fatal traffic accidents being directly linked to trucks. For the individuals who are involved in an accident involving a tractor-trailer, their lives will be forever altered. Not only will they need medical procedures for their injuries, but their career may even be put at risk. Some will not be able go back to their old jobs or may be unable to work at all due to their injuries. In these situations, it is essential to hire a lawyer who has the experience of handling a tractor-trailer accident claim. Only a lawyer with this type of experience can truly comprehend the pain and aggravation a victim of a tractor-trailer accident experiences. In all tractor-trailer lawsuits, it is important that measures be taken quickly to preserve evidence, investigate the incident in question, and to enable doctors or other expert witnesses to completely evaluate any injuries. Our knowledgeable lawyers have the experience to ensure that victims of these accidents receive the monetary compensation that they deserve. Were you or a loved one involved in an accident with a tractor-trailer? Our truck accident lawyers can help! Don’t delay; contact our personal injury attorneys today for more information regarding your claim. If you lost a loved one in a tractor-trailer accident, you may be entitled to compensation in a wrongful death case.